It’s that time of year again and I find myself looking forward more to Boxing Day than Christmas Day. Not because it’s a quieter day less stressful day but because of Boxing Day breakfast. I have very few memories of my paternal grandfather as he died of a heart attack when I was seven but one of my fondest is from the Christmas of 1975. He loved a party and Christmas in his household was a full on family affair. Usually all his children and their families would attend, often staying over for both days. No mean feat with five kids of his own and five or six toddlers. I was the oldest of these at around five and as such I was allowed a small glass of champagne with the adults. I remember eating my starter and some of my main meal then nothing till the following morning. I’ve never been a drinker. I’ve been told I laughed hysterically then fell backwards off my stool. Dad carried me upstairs where I slept the rest of the day away on my aunts bed. I suspect that was my grandfathers plan all along. I digress. Boxing Day morning. I awoke to the smell of grandads cooking. He was a genius with a frying pan and this was my induction to the family tradition. 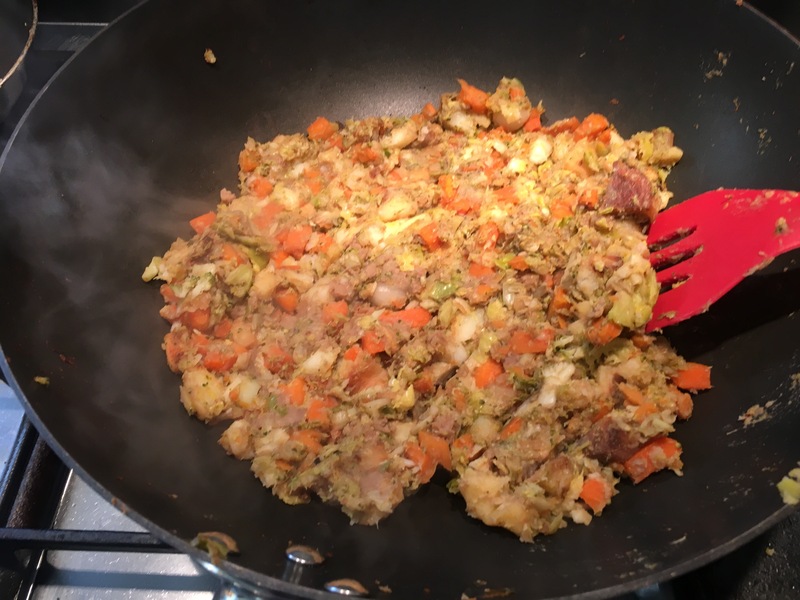 Bubble and squeak fry up. All the left over vegetables having been kept all mixed together in the fridge over night, sweating, mingling and marinating in Lee and Perrin’s Worcester Sauce. Yum! 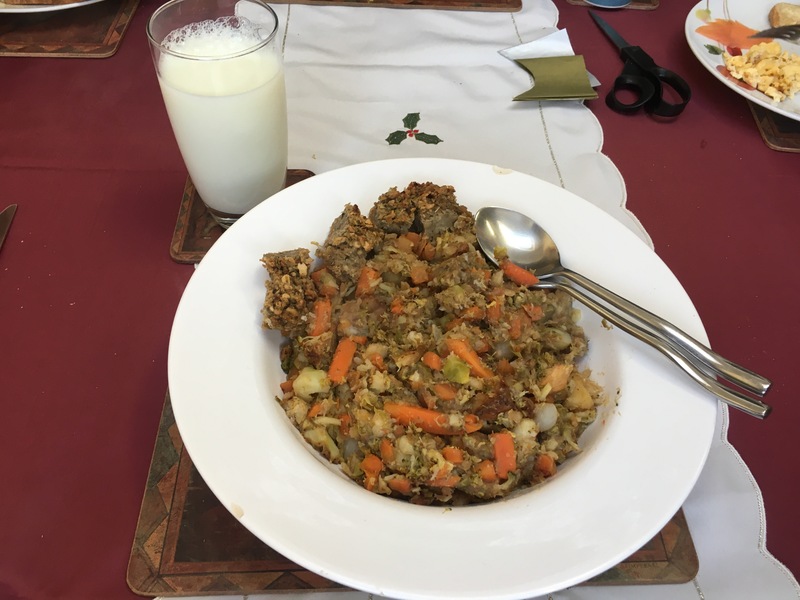 Now I find myself deliberately over catering for Christmas lunch to guarantee the right leftovers. 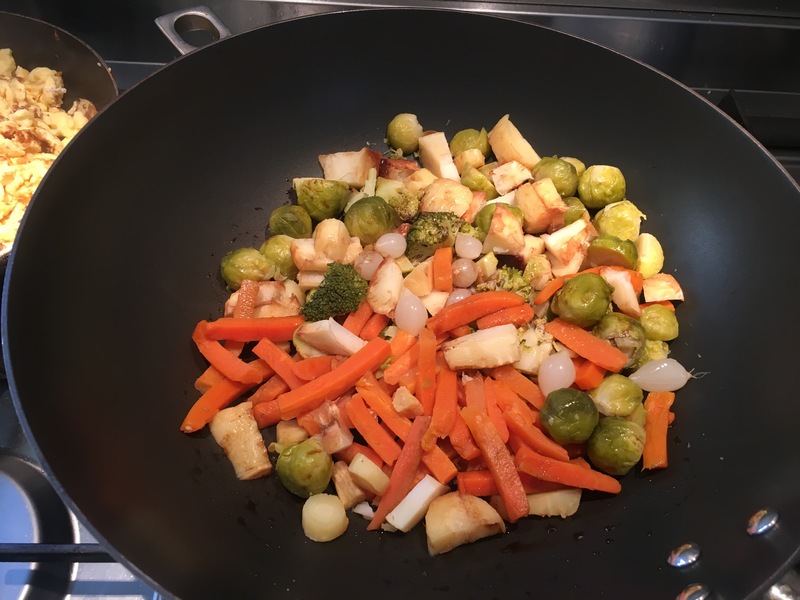 A whole 2.5kg bag of potatoes, nearly a kilo of brussel sprouts, half a kilo of parsnips and several carrots plus whatever else I can get away with. Now it may not look much but trust me it tastes divine! Sadly my wife and daughter don’t share my love for a bit of bubble so I may be the last in my line to perpetuate this particular tradition. Maybe if I’m lucky I’ll be able to pass on the love to my own grandchildren in time. My wife’s family have their own Boxing Day breakfast tradition. Scrambled eggs on toast with smoked salmon. That’s yummy too. Happy Christmas to you all and to my predecessors! I sincerely hope that grandad is looking down (more likely up) at me with a smile on his face and not just at my red and blue hair.